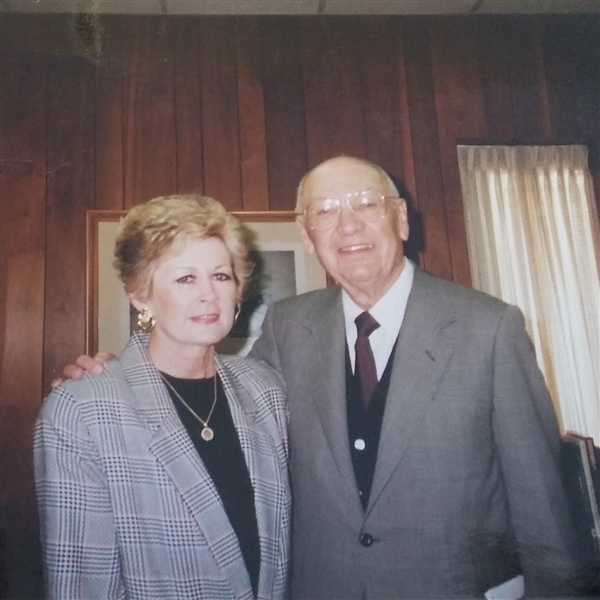 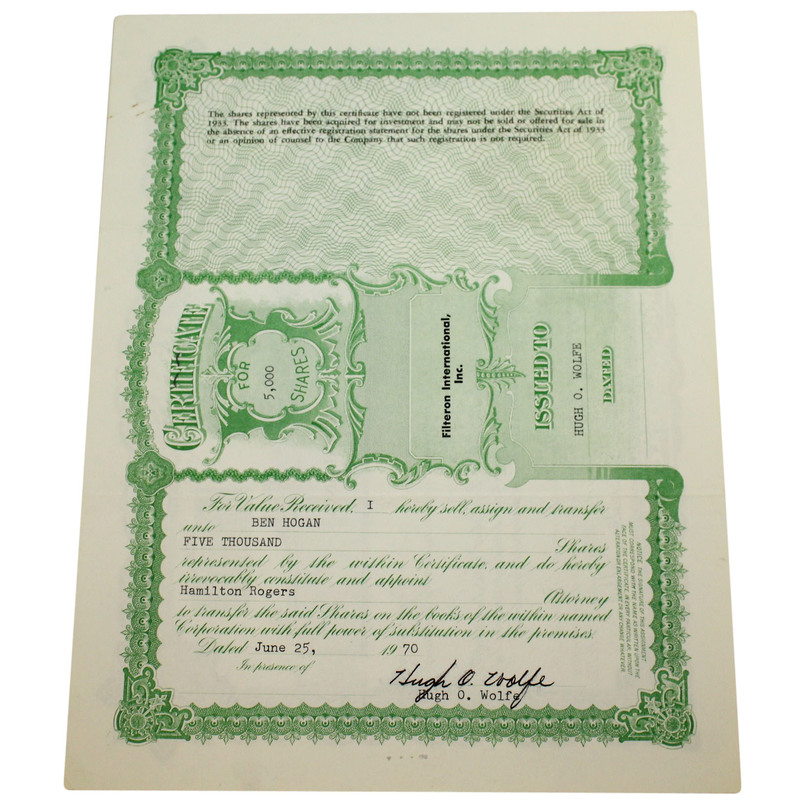 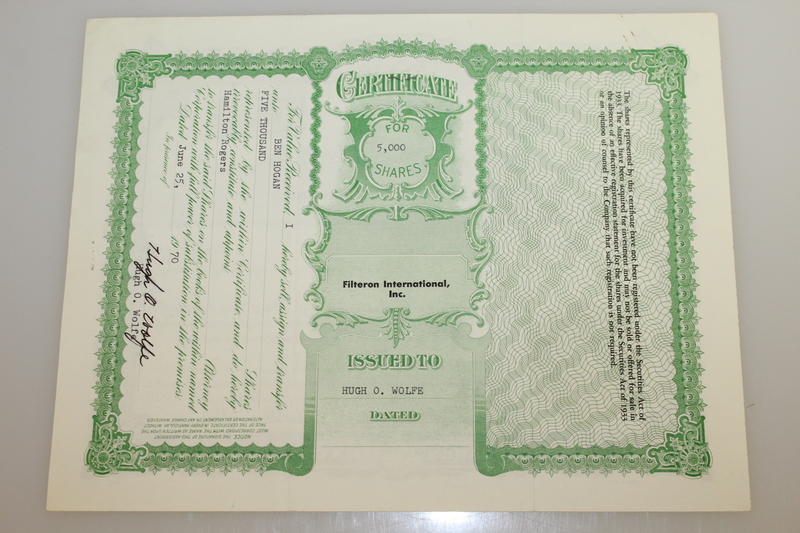 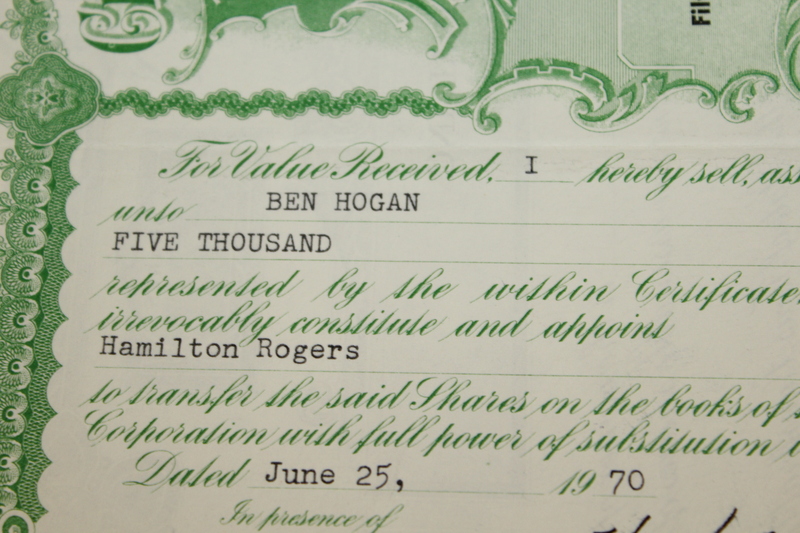 Offered here Ben Hogan's 1970 Filteron International Inc. stock certificate. 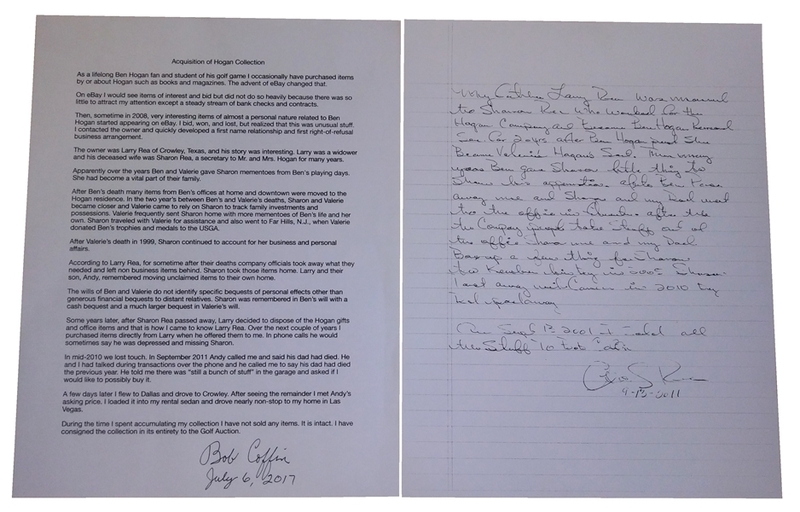 Certificate #83 is for 5,000 shares and was signed on June 25th, 1970. 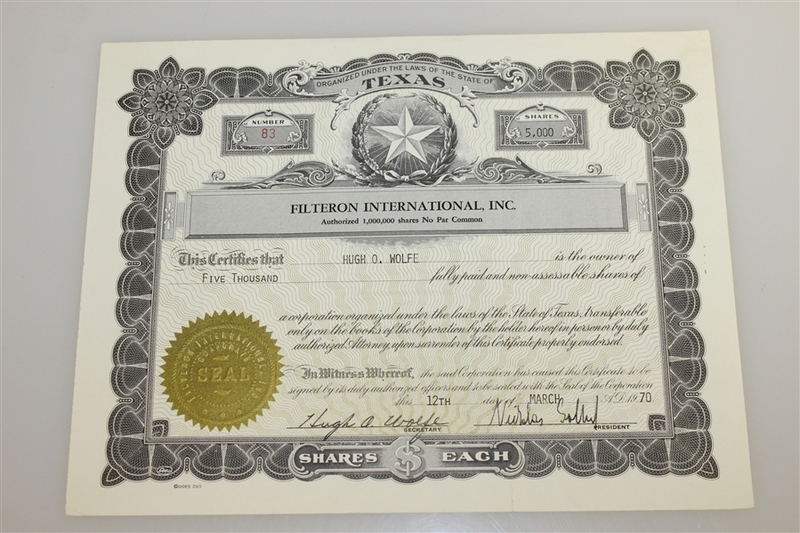 Filteron International was an air pollution control company in the 1970's.